Blogging is about community, and community is about relationships. Post about a relationship you’ve formed with a particular publisher, author, blogger, or bookstore; share your thoughts and tips about connecting and building those relationships; crowd-source your questions about these relationships! 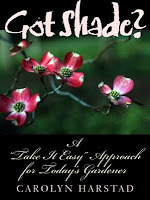 When I started this blog almost four years ago (Holy Hades, really?) I was really just trying to find a way to have a voice when I felt like I didn't. I am not a social butterfly or the one who always is on top of the latest and greatest thing. 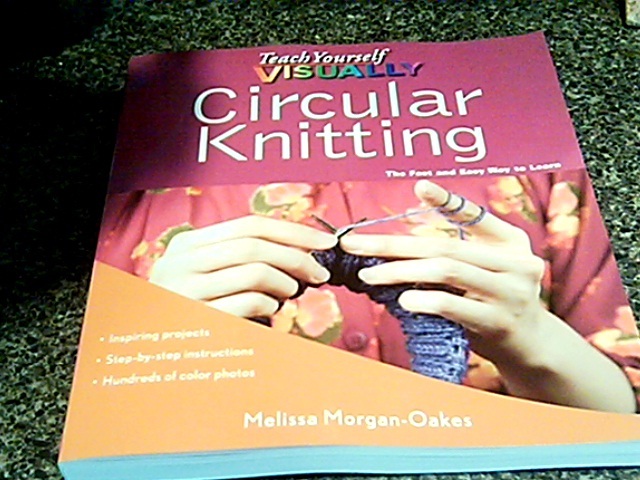 I have my loves and adorations in books, ebooks, yarn, libraries, gardening, homesteading, etc. I am not expecting to be the next Story Siren, Librarian By Day or Yarn Harlot - but I do like to share, and my work in technology has made me realize this is a positive venue for articulation and community (mostly - because sometimes venting on the blog just kind of happens!). I never would have gotten up the nerve to approach publishers about requesting review copies until reading other book bloggers and their experiences and advice. 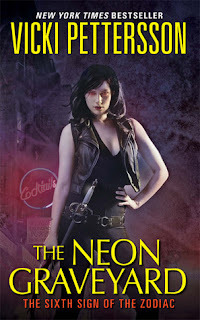 Without their blogs, I never would have even deigned I was good enough to approach authors such as Stephanie Pearl-McPhee and ask for a fun picture, or discuss a blog tour and interview with Melissa Morgan-Oakes (coming next month). I never would have thought that I would approach local city council to express an interest in having chickens in my city and end up working on an ordinance, except by following other bloggers who helped to advocate for them too. I never thought I would start bringing my work experience into opinion posts on the blog (always knowing that my opinion on the topic is wholly my own, and doesn't reflect my employer), except by knowing that if I have an interest in the information, maybe someone else does too? I know that commenting on blogs is important, and sometimes there will be differences of opinion. I value that, because it is nice to know for as many people that hold the same opinion as you, there are some that don't. Sometimes I even learn from that! I know that followers are a great visual judge of who is checking out what I write, yet I have figured that for every follower and actual comment I may have another dozen that don't do either. That is okay. I appreciate everyone that does follow, comment and lurk! Honestly, I think that the only advice I have for bloggers is to be yourself and love what your blog about. I have been amazed at what holding to those two rules have brought me! I missed the boat on the blogger interviews, so today's post will be about some of those blogs and bloggers that I adore and are must-reads for me through each week. Some of them I have met in person, some I know from Twitter, some I have discovered from the previous two. What I enjoy about all of these blogs is that the bloggers have smart reviews, are passionate about reading and know how to have fun! There are going to be many (oh, so many!) more blogs to add to this list after this week, but for now I will highlight the ones I have followed until now. Abby the Librarian I discovered Abby through Stacked, and I love her reviews of children's and young adult materials. Even though my niblets are older, my own interests in buying local makes me want to run out and get To Market, To Market. Cozy Chicks This group of mystery writers know their audience - and books! In between reviews we get peeks into the personal lives of these authors. Dreaming in Books This high school student reviews mostly YA fiction, but ranges out to romances, chick lit and just hosted LGBTQ Voice last month. 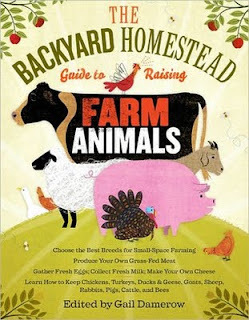 Farmbrarian This duo reviews non-fiction works on sustainability, growing and consuming food. They have made my to-read list on farming and food grow exponentially. Galleysmith Another Twitter comrade who has amazing literacy skills and technology background, besides writing a great book review! She is one of the organizers of the Book Blogger Convention. Opinions of a Wolf One of my posse over at Team Unicorn, Amanda writes about books, movies, and Friday Fun at her blog. Paperback Dolls These ladies review a lot in the paranormal romance and urban fantasy genres, which are some of my favorites. Stacked When I used to work in a public library, I was head of a teen book club and did some of the YA fiction purchasing. That was a few years ago, and my attention to the genre drifted. The bloggers at Stacked are smart readers and reviewers, and they have helped bring me back into the fold of YA reading again. 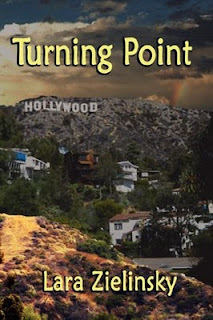 The Lesbrary Reviews and other links for lesbian-themed or -authored books. I am part of the Lebrarian Team and usually have a review at the end of each month. Title and Statement of Responsibility Another of my Team Unicorn clan, Anna writes book reviews on varied genres, along with meditations on random topics. You can also find her discussing library collection development at Collection Reflection. These are definitely all the book (-s and more!) blogs I read on a regular basis, but definitely some of my favorites. I am looking forward to finding lots of new ones this week! I think I will break my Google Reader. While hundreds of librarians, book bloggers, and other bibliophiles are wandering the convention floor, those of us participating in ABEA are either hosting some special giveaways or taking a look at the Best of 2011. Unfortunately my first giveaway will not be ready until next month (knitters and readers take note! ), so today I get to explore some of the best books that I have read or are expecting to read this year. Sheepish: Two Women, Fifty Sheep and Enough Wool to Save the Planet by Catherine Friend. I loved this book just a smidge less than its predecesor, Hit By A Farm. Friend takes us to her Minnesota farm and all the exploits of rediscovering her love for it. Not only is it a great "farm tale", but a wonderful look at the passion, devotion and humor that a woman can bring into a life she wasn't expecting to be living. 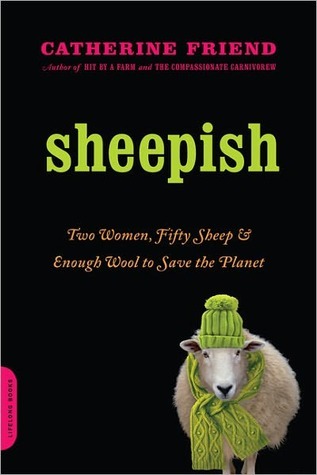 Plus all of us fiber fanatics will completely empathize with the author and her growing obsession with wool. 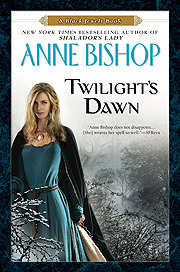 Shalador's Lady and Twilight's Dawn (Black Jewels series, #8 & #9) by Anne Bishop. One of my all-time favorite authors and series. Set in a magical world of women and men whose magic is based on their blood and their jewels, revolving around a blond haired Queen and Healer named Janelle - the living Myth. Bishop is a master (mistress?) at world-building, and beyond the nine actual books in this series, there are some short stories in anthologies floating out there. 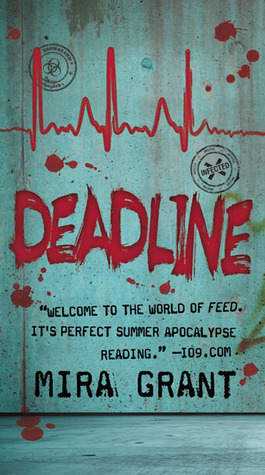 One title I am definitely looking forward to is Deadline (Newsflesh, #2) by Mira Grant. If you enjoy zombie stories, post-apocalyptic stories, or even sibling stories - GO. BUY. NOW! The first in this series, Feed, is available and this one is pre-ordered and waiting for Nook download. (I may have even hit the load button once or twice or thirty times *cough* to see if I could get hold of it.) I was completely sucked into Feed from the first few pages, and I am excited to see the continuation of this story. 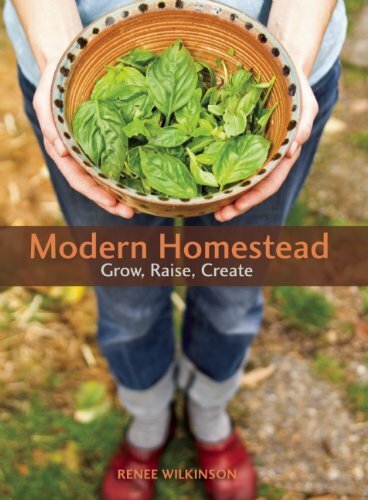 Modern Homestead: Grow, Raise, Create by Renee Wilkinson. I am all for the homesteading books and looking for new, or not so new, ways to make my life more sustainable. Urban Farming: Sustainable Living in Your Backyard, in Your Community, and in the World by Thomas J. Fox. See above! Season To Taste: How I Lost My Sense of Smell and Found My Way by Molly Birnbaum. I was fortunate to actually pick up a galley of this at the Massachusetts Library Association Conference. I know how much the sense of smell is an integral part of cooking, and the story of losing it while in culinary school is one I am interested in. I am sure there are lots of titles I am missing, but discovering them is part of fun! What you are looking forward to this year? Note: Some spoilers for previous books in the series. Joanna Archer has lost her sister, her powers, her troop. 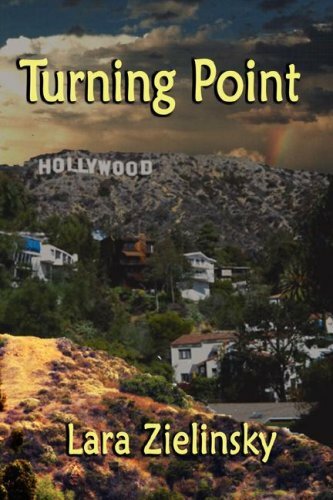 Determined to end the reign of the Tupla in Las Vegas, she battles to not only end its hold on the city, but to find a way back into Midheaven and save her lover, Hunter. Hunted by both the Shadow and the Light, Joanna's only hope is a bunch of rouge agents, her mortal skills and her destined role as Kairos. All she has to lose is her soul, her life, her love - and her unborn baby. So yesterday a coworker brought me a snippet of a column from our local newspaper and said that I might be interested in the last section. I don’t get the paper anymore, nor follow it digitally (note to Self: start doing that now) but it seems to be a weekly syndicated column called On Computers which takes on different pieces of technology in a simple, “you might want to know about this” language that would certainly be read by those who may want some more information. Libraries are not buying a lot of ebooks. Oh, and they are always checked out. Libraries are “permitting" ebooks to be borrowed on the same model as print (one copy to one patron) and of course the computers don't care since it is a digital file and can be copied easily. He opines that “after enough board meetings they’ll (aka libraries) come around to common sense”. I was aghast, needless to say. As someone who deals with numerous libraries and our digital catalog, the thoughts about slim budgets and having NO licensing control and DRM and HarperCollins and common sense went spinning through my head. I was affronted, not only by my own knowledge but that these statements are easily disproved by a LOT of information out there. You would think that someone that is gathering information on technology would use it to fact-check some of his statements. Wouldn't that be "common sense"? I did send a (hopefully) clear and calm email with counter-arguments to his points. However, this made me reflect some more during the day on what sort of information our patrons have about ebooks. Was this just one person’s lack of information, or is this what many of our patrons believe? What do they know beyond “the library now has ebooks”? For every patron that has expressed their support about my network’s decision to not purchase HarperCollins titles when the 26-checkout limit was put into effect, I am sure there are a dozen or more wondering why we don’t have Harry Potter ebooks (not available) or why we won’t have the latest Janet Evanovich (HarperCollins) or why we won’t buy more than six copies of a title (budget limits)? We do our best, just as the individual libraries and other networks supplying ebooks - and print books and internet and programs and everything else libraries provide - do with the funds they have. But do patrons understand it? They see numerous print copies on the shelf of the titles they are looking for, or know they can get it from other libraries through a cooperative network or interlibrary loan. They see Amazon and Barnes and Noble supplying ebooks we don’t carry, allowing lending of copies between devices, instant wireless downloads. They do not see the licensing agreements, the staff training, the off-site process of the catalog. They may not be reading about the publishers that won't license their ebooks to libraries, or the numerous discussions in the publishing world about ebooks hurting sales because of their prices. So, as librarians on the front line and behind the scenes, what are we responsible for? We are taught and tasked to be information providers, but of course we are not mind readers. Can we ensure our patrons know about the benefits and the limitations of ebooks in libraries? Or should we hope that everyone has a little common sense about this topic? Catherine Friend has gotten tired after fifteen years of sheep farming. Her writing muse has disappeared; her relationship with her partner is steady but quiet. The numbers of sheep farms has declined, while the sale of wool doesn't seem to have much of a market. Yet when all seems to point towards throwing in the towel, this is when Friend takes a good look at what she is in the middle of, and discovers what sheep are really worth.